Colin and his nephew, Davis, have been on many adventures together since Colin introduced Davis to the great outdoors when he was no more than a toddler. Their most notable joint climbing venture was an epic nine-day ascent of Muir Wall on El Capitan in 2010. ​In 2015, in preparation for this “big trip”, Colin and Davis made the first circumnavigation of the Isle of Skye by open canoe. Their efficient use of paddle sailing was evident as the pair completed the adventure in five days. A year later they completed a 174 mile canoe trip across the highlands of Scotland. In an amazing feat of endurance, they paddled the River Spey, the coast from Spey Bay to Inverness and the Caledonian Canal in just three days. Follow the links below to find out more about Colin, Davis and their support crew. 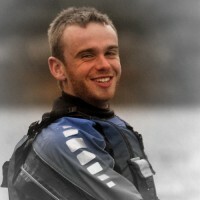 Colin's love of adventure can be traced back to his days at a comprehensive school in Kent where he joined an outdoor pursuits group, participating in kayaking and climbing. It was climbing that stole his heart and he pursued this hobby extensively for the next 30 years. Climbing and mountaineering has taken Colin all over the UK, as well as to Europe, Africa and America. Colin has had three trips to Yosemite National Park where he has climbed multi-day “big walls” including The Nose and Muir Wall on the valley’s most spectacular mountain, El Capitan. With Katrina, Colin has cycled Lands End to John O'Groats on a tandem and completed several long distance back packing trips in Scotland in and amongst climbing of course! However, Colin’s passion for the vertical started to give way to canoeing in 2010 when he bought a 17 foot canoe and learnt the basics of paddling on Loch Sunart, and by 2012 climbing was a thing of the past for Colin. 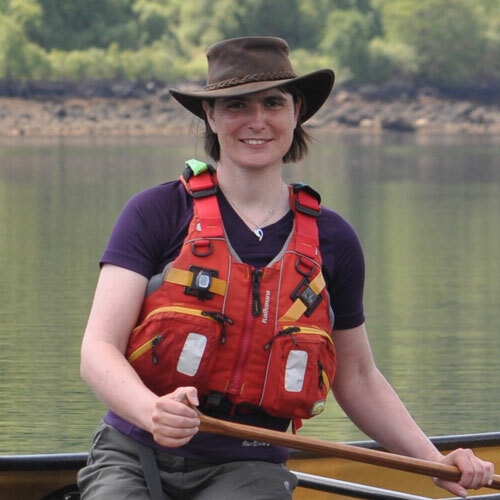 Following many coastal adventures by canoe and canoe trimaran around the West Coast of Scotland, in June 2015 Colin and Katrina made an adventurous circumnavigation of Anglesey in North Wales by open canoe. This involved paddling through dangerous tide races and through the turbulent Menai Straits in the dark. 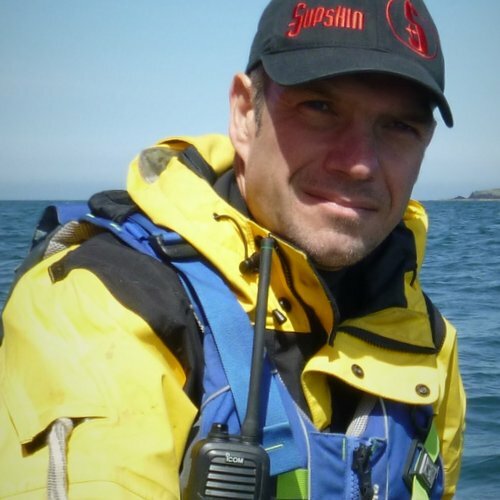 As well as open canoe, Colin also paddles a racing kayak (K1) and has complete the annual 125 mile Devizes to Westminster international canoe race on 4 occasions. The idea of circumnavigating Britain first came to Colin when he purchased his canoe trimaran in 2011. Over the next couple of years the idea evolved to become the reality that it is today, to do it in an open canoe. And who better to experience this challenge with him than his nephew, Davis. As a young child, Davis was introduced to the world of hiking and climbing by Colin, and after moving to Ireland at the age of 6 his love of climbing was kept alive with annual trips to the Peak District, Cornwall and Scotland with Colin. Davis attended the University of Limerick from where he graduated with a BSc in Music, Media and Performance Technology. Whilst at university Davis became a member, and later a leader of the university's Outdoor Pursuits Club (ULOPC) with whom he has been on, and led countless hiking, climbing, mountaineering and caving trips in Ireland, Scotland, Spain, Morocco, Tanzania and Russia. On leaving university, Davis travelled to California where he spent four months living and working. After this, he hired a motorbike and finished off his time across the pond with a three week, 7,500 mile solo bike trip traveling across the United States of America and Canada. Davis keeps himself extremely fit and in 2016 he completed his first marathon and Half Ironman triathlon. Davis is always on the lookout for a new adventure, so when Colin asked him, in 2014, if he wanted to join him in circumnavigating Britain by canoe, he jumped at the chance even though he had never been in a canoe at that point! Katrina met Colin in September 2003 and since then she has had a life full of adventures! Colin introduced Katrina to climbing on their first date and over the following years Katrina and Colin climbed together all over the UK, in Europe and America. In and amongst the climbing they have also walked the West Highland Way in the middle of winter, cycled from Lands End to John O’Groats on a tandem and completed the 125 mile non-stop Devizes to Westminster canoe race in a racing kayak over 28 hours. Having bought their first open canoe in 2012, a 17ft Old Town Penobscot, Katrina and Colin have grown to love this mode of transport and in June 2015 they used this boat to circumnavigate the Isle of Anglesey in North Wales over two days. However, when it comes to circumnavigating Britain, Katrina is taking a back seat and will be providing land based support for Colin and Davis as they undertake this amazing feat of endurance. 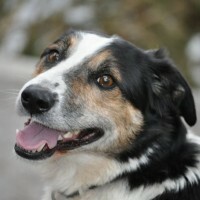 Katrina will be driving around Britain in a campervan with her co-crew, Tyke and Gonzo. Katrina, Tyke and Gonzo aim to meet up with Colin and Davis every 5 or 6 days to resupply them with food and clean clothes. 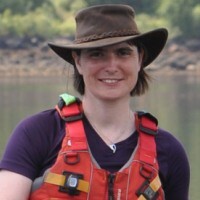 Katrina will be keeping in touch with Colin and Davis on a daily basis (signal permitting), helping out with tidal planning and updating the blog. In September 2005 Tyke became the first four-legged member of the Skeath family. Gonzo joined the pack just a few months later. 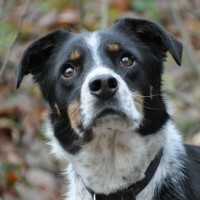 Tyke and Gonzo have joined Colin and Katrina on many of their adventures across the UK. They have looked after gear at the bottom of countless crags and greeted with a sloppy kiss at the top. They walked the West Highland Way with Colin and Katrina in 2007, and as if that wasn’t enough they did it again in 2010 with Katrina and Brennain Gould-Duff (Davis’s older brother). They followed this immediately with the Great Glen Way, meaning a 172 mile walk over 9 days. The boys have been crew members on sailing trips to the Isles of Eigg, Muck, Rum, Coll, Gunna and Tiree in a canoe trimaran. They have been on many multi day open canoe trips around the coast and on Lochs in the West Highlands of Scotland and have done a descent of the river Spey. Tyke and Gonzo will be helping Katrina in supporting Colin and Davis as they circumnavigate Britain.